After ruling out other possibilities for your constant jaw joint pain, your doctor has diagnosed you with a temporomandibular disorder (TMD). Now that you know what you have, what can you do about it? Unfortunately, it's not always an easy answer. Ideas about treatment are almost as numerous as theories on the causes of TMD. By and large, though, we can classify treatment into two broad categories: conservative and aggressive. The conservative approach is the result of many years of experimentation and application; it's also much less invasive than aggressive treatments. For most patients, though, these treatments can offer significant relief from pain and dysfunction. 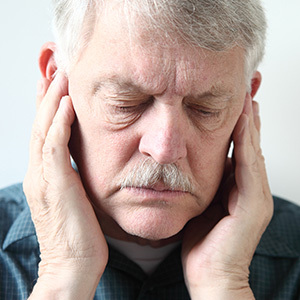 Conservative treatments are based primarily on the philosophy that the temporomandibular joint is like any other joint, and should be treated that way. Treatments include thermal therapies like ice or heat packs applied to the jaw, physical therapy (gentle stretching, jaw exercise, and massage) and pain and muscle relaxant medication. In cases where teeth grinding may be a contributing factor, we might recommend a bite guard worn in the mouth to reduce biting pressure. On the other end of the spectrum are treatments like altering the bite or the position of the jaw. 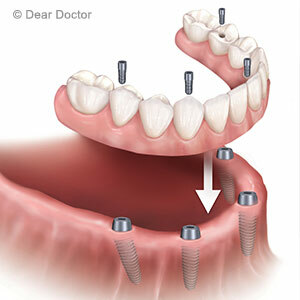 The purpose of bite alteration is to change the dynamic when the jaws are in contact during chewing or clenching, and reduce pressure on the joints. This is often done by reshaping the teeth's biting surfaces, moving the teeth with orthodontics or performing crown and bridgework. Another possibility, actually modifying the lower jaw location, requires surgery. All of these aggressive treatments are done in order of less to more invasiveness. These more aggressive treatments, especially jaw surgery, are irreversible. Furthermore, studies on results have not been encouraging — there's no guarantee you'll receive relief from your symptoms. You should consider the aggressive approach only as a last resort, after you've tried more conservative measures. Even then, you should get a second opinion before undergoing more invasive procedures. Hopefully, you'll see relief from therapies that have made a significant difference for most TMD sufferers. And that's our goal: to reduce your pain and dysfunction and help you regain your quality of life. There are few more painful experiences than a toothache. You can't ignore it: it's as if your mouth is screaming for relief. But while the throbbing pain can tell you something's wrong, it may not be clear exactly what's wrong. There's more than one possibility — it could be with the tooth itself, the gums around the tooth or a combination of both. In the first case, a toothache could be a sign of severe tooth decay within the tooth's innermost layer, the pulp. The pain you feel comes from the nerves within the pulp under attack from the infection. For this level of decay there's one primary way to save the tooth and stop the pain: a root canal treatment. In this procedure we remove all the infected and dead tissue from the pulp and fill the empty chamber and root canals with a special filling. We then seal and crown the tooth to prevent further infection. 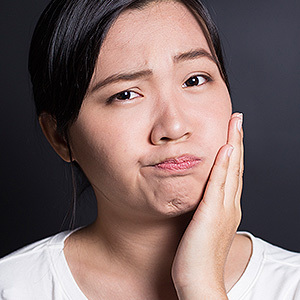 Another source of toothache happens when your gums have become painfully inflamed due to infection. This is usually caused by periodontal (gum) disease, triggered by a thin film of bacteria and food particles on tooth surfaces known as plaque. In this case, we must remove all plaque and calculus (hardened plaque deposits) from tooth and gum surfaces, including on the roots. Your gums can then heal and return to health. But your situation could be more complex. Untreated tooth decay can advance to the roots and subsequently infect the gums. Likewise advanced gum disease can pass the infection from the gums to the root and into the pulp.Â For such cases you may need a specialist, either an endodontist specializing in root canal issues or a periodontist specializing in the gums.Â They can better diagnose the origin and extent of the problem and offer advanced techniques and treatments to deal with it. It's possible in these more complex situations your tooth has become diseased beyond repair and must be replaced. It's important, then, that you see us if you experience any significant tooth pain, even if it seems to go away. The sooner we diagnose and begin treating the cause of your pain, the better your chances of regaining your dental health.